Hungarian Prime Minister Viktor Orban has warned that Western values are completely incompatible with Islam, and has vowed to keep Hungary’s Christian-based culture the dominating force that drives the country forward. “There are countries that think that mixing two cultures, Christianity and Islam, creates something new and good. We see it differently,” Orban said. Voiceofeurope.com reports: “If the others want to mix their cultures, then they have a right to this attempt. But we do not want to start any trials in Hungary. “We do not want to mix our Christianity-based culture, values, attitude to life with other cultures,” the Hungarian Prime Minister said. 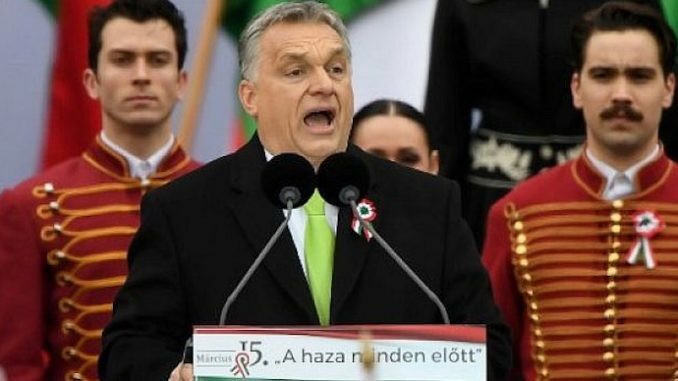 With his eyes on the upcoming European election in May, Orban hopes voters “want to retain and protect their national identity, as well as their Christian customs” as they are being threatened by increased migration flows. Orban’s Fidesz party has increased it’s lead since the elections and is now supported by 54 per cent of voters.